Visit them on the web at andrewsplumbing.com. Visit them on the web at wilberelectrical.com. Visit them on the web at dependableconcrete.com. Visit them on the web at . We are owned an operated by Licensed Wildlife Pro Kris. We run a professional critter removal business here in Philadelphia, and we know how valuable it is to have a trusted service professional come to your home when you need services. Just like with wildlife removal, in many cases, such as plumbing, electric, or locksmith emergencies, you don't want to have to wait around to find someone to come to the home. And you want a good company, someone you can trust, to come and work for you. The above list is comprised of Philly businesses that we trust. 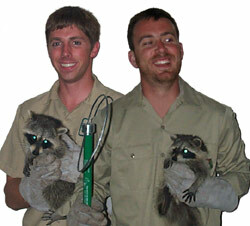 For wildlife removal services, please go back to the home page to learn more about our company.